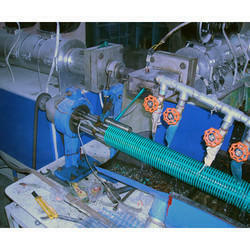 Leading Manufacturer of suction discharge hose plant from Ahmedabad. Owing to the expertise of our skilled professionals, we have been able to provide a qualitative range of Suction Discharge Hose Plant that is highly demanded by our clients for effective productivity. 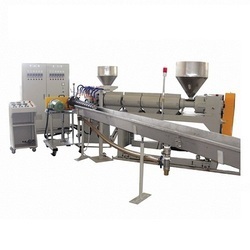 Available in various configurations, our offered hose plant is precisely assembled using excellent quality components and ultra-modern technology. Besides this, our esteemed clients can avail this hose plant in varied standard specifications at the most affordable price. Being one of the reputed organizations in the market, we are engaged in manufacturing, exporting and supplying a quality approved Suction Discharge Hose Plant. Our offered plant is assembled by our skilled personnel using quality proven components and modern technology. Furthermore, this plant is stringently checked on various quality parameters to provide a hassle free performance at clients' end. Our esteemed clients can avail this plant from us at rock-bottom price.